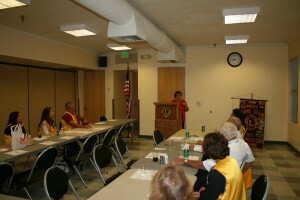 On Thursday August 20, 2009, Michael and Jean-Marie were the guest speakers at a dinner and book signing with the Windsor Lions Club at 7 p.m. at the Windsor Community Center, 901 Adele St., Windsor, CA. 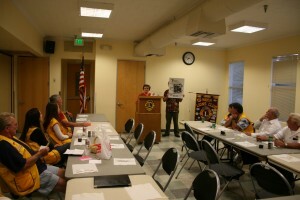 Jean-Marie speaks before the Windsor Lions Club. 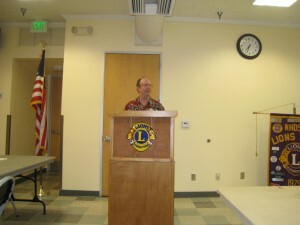 Author Michael McCoy at the Windsor Lions Club. Jean-Marie speaks about the cover picture with the doll.